I am pleased to be speaking at the Commercial Vehicle Outlook Conference, which has a theme of Trucking’s Future Now Conference in Dallas, August 26-27, 2015. What does the future of the trucking industry look like? That’s what industry experts, analysts and futurists will discuss next month in August in Dallas at the annual Commercial Vehicle Outlook seminar for fleet executives, suppliers and other industry stakeholders. The two-day event will be held Aug. 26-27 at the Dallas Convention Center in conjunction with the Great American Trucking Show.The conference, sub-themed this year as Trucking’s Future Now, will feature speeches and panel discussions on looming changes to trucking equipment and technology, such as autonomous trucking and platooning systems, along with talks on changing infrastructure, freight patterns and the driver and technician labor market. Futurist Michio Kaku will give CV-Outlook’s keynote address on Wednesday, Aug. 26. Kaku is one of the most highly recognized futurists in the world, internationally recognized for trying to complete Einstein’s unified field theory and his predictions of trends affecting business, commerce and finance. Other speakers include Derek Rotz, manager of advanced engineering at Daimler Trucks North America; Stephen Hampson, president and general manager of Meritor WABCO; David Levinson, author and professor at the University of Minnesota; Bill Kahn, principal engineer at Peterbilt Motors; Paul Menig, CEO at Tech-I-M; Josh Switkes, CEO at Peloton Technology; and Mike Roeth, executive director of NACFE. Click here to register for CV Outlook. Noon Great American Trucking Show opens. I am participating in the St. Cloud Winter Institute on February 19. Details of the program are below. 2 – 3 Keynote Speaker: David Levinson“The Transportation Experience: From Steamboats to Streetcars.“The talk explores the historical evolution of transportation modes and technologies. It traces how systems are innovated, planned and adapted, deployed and expanded, and reach maturity, where they may either be maintained in a polished obsolesce often propped up by subsidies, be displaced by competitors, or be reorganized and renewed. An array of examples supports the idea that modern policies are built from past experiences. The planning (and control) of nonlinear, unstable processes is today’s central transportation problem, and that this is universal and true of all modes. Civil engineer and transportation analyst David M. Levinson will keynote the Feb. 18-19 Winter Institute. Civil engineer and transportation analyst David M. Levinson will keynote the 53rd Winter Institute. St. Cloud State’s signature summit on economic and business issues returns Feb. 18-19 with events on campus and in the community. Levinson, who holds an endowed chair at the University of Minnesota, leads the http://streets.mn blog about Minnesota land-use and transportation issues. He has authored or co-authored four books, notably “The Transportation Experience: Policy, Planning, and Deployment,” an Oxford University Press volume that argues transportation development lessons learned in the U.S. and Great Britain can be applied in developing nations. He directs the Networks, Economics and Urban Systems Research Group at the University of Minnesota. Among other projects, Levinson’s group is investigating the efficacy of Twin Cities transportation investments, past and future, for the Metropolitan Council and Minnesota Department of Transportation. In addition to Levinson’s 2 p.m. Feb. 19 keynote, the Winter Instutute program will include a reception with live music, the St. Cloud Area Quarterly Business Report economic outlook and breakout sessions on a variety of topics. For more than a half-century, the Winter Institute has welcomed great minds to St. Cloud State, notably Nobel laureate Milton Friedman and former Federal Reserve chairman Benjamin Bernanke. It is sponsored by these St. Cloud State entitites: Department of Economics and School of Public Affairs. 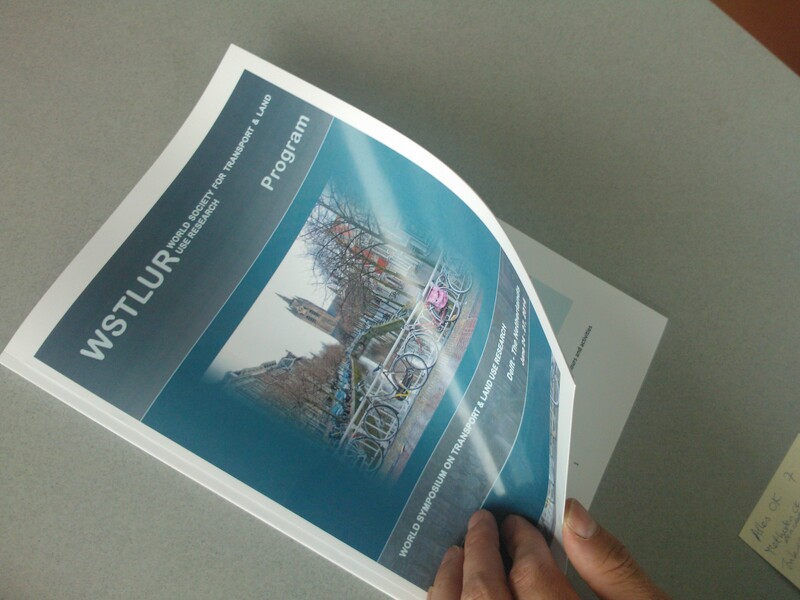 WSTLUR @ Delft is where all the cool kids will be next week. I will arrive on Sunday, so if I have any Dutch peeps, get in touch. MAP-21, the 2012 federal surface transportation authorization bill, is set to expire later this year. Meanwhile, the Highway Trust Fund faces an insolvency crisis due to rapidly dwindling gas tax revenues, and there appears to be little agreement in Congress on how to fund the federal transportation program. Some say that makes this year ripe for a reconsideration of the federal role in transportation and have proposed devolution of the federal program to the states. Many states continue to rely on the federal government for a significant portion of their transportation spending, however, and might be challenged to come up with revenues on their own from a limited tax base. This webinar will examine the pros and cons of devolution, the future of the federal role in transportation and what it could all mean for state and local governments. Wednesday, May 21, 8:30 a.m. – 10:15 a.m. In the next 30 to 40 years, the transportation industry will face many new and emerging trends that will dramatically reshape priorities and needs. To help practitioners face these changes and effectively shape the future, a National Cooperative Highway Research Program study is investigating these trends and their implications for the transportation system. One trend—changing socio-demographic factors—is expected to considerably affect travel demand. Although America has long been one of the world’s prime car cultures, that status might be shifting because of new population and demographic trends. The graying and browning of America, slow household growth, and a hyperlinked younger generation are all playing a role. In the opening session, John Njord, former CEO of the Utah Department of Transportation and now with Tom Warne and Associates, will discuss key socio-demographic trends, their potential impacts on future travel demand, and their implications for state DOTs and MPOs. He will also provide an overview of a customizable tool that can help planners and policymakers explore the interaction of demographic trends and travel demand in their regions. Following Njord’s presentation, a panel of experts will share their perspectives on these socio-demographic trends and their implications for transportation professionals. I am one of the featured “panel of experts” who will share perspectives.